Read Our Five Star Reviews | My Space Remodeling Inc.
We were referred to Alex and his company by a prior customer who said this was a contractor he'd use again for future jobs. Alex gave us a bid to remodel our family room. We wanted new ceramic flooring, removal of wood paneling and ceiling wood beams and just an overall "re-do" to lose that 70's look. Because we had experienced problems with prior contractors, we requested a very concise bid and stressed that the quality and timeliness of the work had to be what we all agreed on. Alex's crew showed up on time and made sure that only the part of the house that they were working on was sectioned off and covered. It was refreshing to see that a company made it a priority that our lives were not greatly disrupted because of this remodel. As the job progressed and we saw how nice our den was coming along, we decided to add some updates to the adjoining bathroom, and Alex was more than fair when adding this part to the original bid. I can only tell you that the finished product we got was above our expectations and that we did not experience delays along the way. We can now enjoy a beautiful family room and get tons of compliments from our guests. The only problem I see is that this perfect den way outshines the kitchen, so I know that will be the next project with My Space! Hi,my name is Lola and I'm standing in my new beautiful kitchen. In about month ago when I started this project I had no idea what transformation is going to be with the guidance of Neto and Alex of My Space Remodeling. I just gratified what transformation has been achieved. Now my kitchen is so beautiful, the colors, the granite, the back splash , the kitchen cabinets. Putting all this together I could not have done this with out guidance , skills, experience of Neto and Alex. It's just unbelievable , I'm just LOVE my kitchen ! This is were I live ! This guys helped me easily went thru the whole process together with them guidance,patients and help of Neto , Alex and stuff even Robin at the office . They're all very patient with me , all my questions, calling them every day. They always reassure me with the working progress. But seeing the finished product it's just unbelievable beautiful.I'm so happy I have done this. Thanks again My Space Remodeling. Very professional work. I hire them to paint my restaurant and do all the tile. Excelent timing excelent work. Netto and Alex were on top of all details. Thank you. We hired My Space To remodel our kitchen and we couldn't be happier about it. They are a very honest and professional company, made everything easier and took a lot of stress off our shoulders. We agreed on a price and deadline and they finished everything perfectly on time and within our budget. Not to mention how beautiful our kitchen looks now. The workers were always on time and working hard, we felt safe having them in our home. We will only call MySpace Remodeling for our future home projects. Give them a try, u wont regret it. My Space Remodeling has remodeled our kitchen and both our bathrooms. They did FANTASTIC job! Alex and his crew were great! We started with our kitchen remodel but were so happy with work that My Space Remodeling did we decided to have them do the bathrooms as well. Alex handled project management, the design, inspections, he submitted a plan to the city, got all permits in order and all the labor for all the projects! He even gave us a 3D design of what the finished project would look like and while we was waiting for approve from city I went shopping for tile and appliances together with Alex. And then..... next step.... my bathrooms ! I chose to have modern contemporary style in bathrooms as well)), so it can match my kitchen now). Alex (project manager) was a fantastic communicator and hunter of great fresh ideas and designs, he was always on top of things! There were a couple of minor unexpected things along the way, but nothing that could have been helped, and this was material issues (the tiles I chose came in different colors and in less quantity, but it just took another few days to finish the whole job). I love my new kitchen, and bathrooms! Especially my master bathroom!!!! (Bathroom looks like high end luxury hotel style bathroom), sometimes I want to sleep there insteadJ. Thank you Alex and My Space Remodeling for great time and job you guys did!!!!!! After finishing this small project we did, I have the will to remodel my kitchen! I just couldn't believe that my space remodeling can do such and nice work on my bathroom, we just love it! We hired My Space remodeling to do kitchen and bathroom remodel. Alex is a contractor who you defiantly can trust and his crew very knowledgeable, they really know that they do. Their main goal was to do the job well. They were extremely professional and completed job on time and with promised budget. Now we enjoying out newly remodeled kitchen and master bathroom. They started on the master bathroom remodel. That included demo, extensive, tilework, painting, plumbing, framing, electrical and all the perfect finishing touches was done with so much care. They were so careful about all the mess making sure we could use our bedroom at nights. The tile work they did was outstanding. Now they on last stage to finish our kitchen remodel... its looks really amazing, functional and absolutely a pleasure to use. I'm defiantly recommend My Space Remodeling to everyone how looking for great experience with any construction projects! We seen a flyer on my car about this place and my mom wanted to remodel her room and her bathroom as well. She's always wanted a nice bathtub not just any regular bathtub! I decided to give them a call and they were really nice over the phone, and making the app with was very easy and they worked with me and my moms schedule! They have been coming recently and they started working on her bathroom already and I love the way it's coming out I can't wait to post the finished pictures! Great prices! Great company! & great workers no doubt! I am so impressed with the service I received from My Space Remodeling that I had to write a review. From the beginning to the final installation I received the best customer service of any company out there! The employees were hospitable, courteous, attentive, and knowledgeable. They were very professional and gave us a good, fair price for our master bedroom. I highly recommend them to anyone! 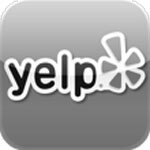 I just made this Yelp account just to write a review on this company! My wife & I bought our second home in Granada hills. It had a bit of inperfections, for example our kitchen cabinets were pretty old our counter top was cracked and the floor had missing tiles. Our neighbors gave us flyer about them and they gave us a FREE estimate. Within our first call the Receptionist Lizette was courteous & the set up for the app was smooth. The very first time Alex & Carlos we gave them a bit of details of what we had in mind and they knew exactly what we wanted something simple but nice! It's been 2 months since they finished our kitchen, we're just buying all the appliances we need and we can't wait to post a picture of the finished look! This company is GREAT if I can give them more stars I defiantly would. Thanks guys we love our kitchen! I recently helped My sister who wanted to remodel her new home. We hired My Space remodeling they were amazing the house looks absolutely beautiful now. We have been looking for a company we trust to remodel the bathroom and kitchen and after seeing how the crew worked we were happy. They were confident in what they were doing and promised us they would finish in time and with in my sisters budget. Every time we called the receptionist where very helpful and kind. Overall a great experience and would 100% recommend My Space remodeling to anyone looking to remodel their home!! !